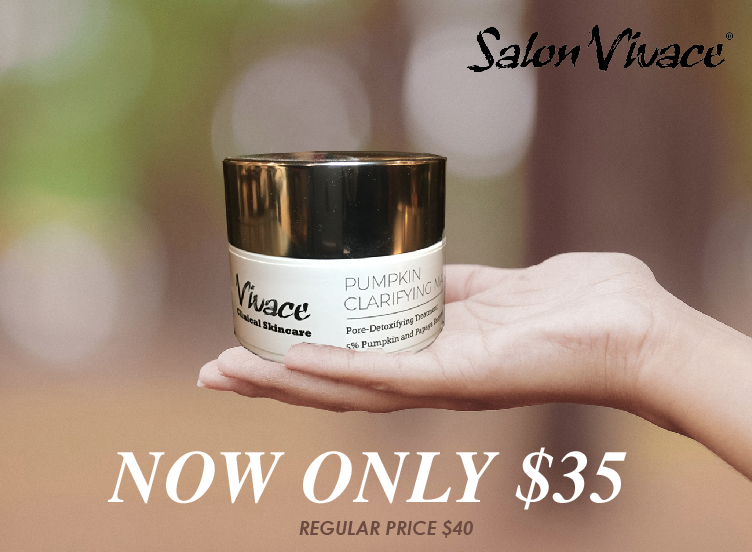 Vivace Skincare Pumpkin Mask is on sale! Now Only $35, originally $40. This pumpkin enzyme mask with papain and salicylic acid exfoliates dead cells and loosens debris in pores. While lessening surface oils and blackheads leaving skin with a fresh glow.